This year, Kim Kardashian-West has decided to channel all of her fave musical icons for Halloween. So far, she and bestie Jonathan Cheban dressed as Sonny and Cher for the Tequila Casamigos party last weekend. Then, for another event, she and sister Kourtney Kardashian dressed as Michael Jackson and Madonna attending the 2001 Academy Awards together. 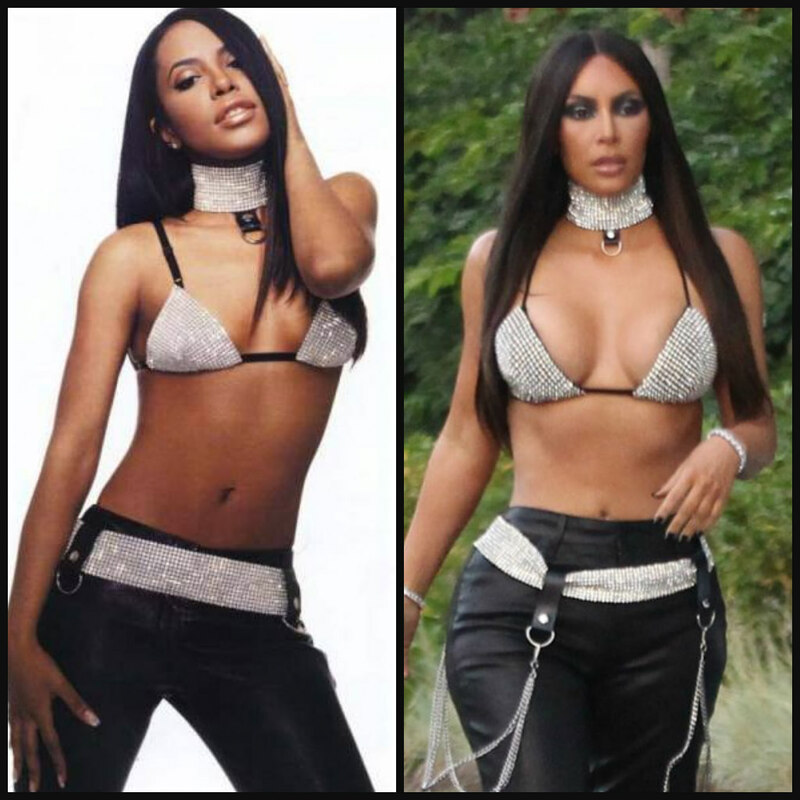 Finally, the business mogul and reality TV star of Keeping Up The Kardashians was seen on her Snapchat dressed as the late 90’s R&B pop princess Aaliyah in her “Try Again” music video. We love them all and are here for it! Can’t wait to see what other icons she will go as for other events leading up to Halloween on Tuesday. @KimKardashian back at it again! Did she do 90’s R&B Princess #Aaliyah justice? #Halloween2017 ?